The Clipper (sleeps 22) has 9 ensuite bedrooms. You have a great size dining area for all your guests. The bar area is a great feature. Glasses are there ready and with plenty of space for all your stock, including a large drinks fridge and a sink. The games room has a great pool table, darts board, board games and a piano. In the kitchen and breakfast area is a fantastic space to prepare your meals. This is a well equipped commercial style kitchen. The utility room has two upright refrigerators and a freezer, a washing machine and a drier. It also has extra storage and surface area which is a wonderful addition to the kitchen and breakfast area and is of course essential to the house. Our stunning lounge/sunroom is the front of it all. With comfortable sofas and chairs and Sky television, this spacious area is for everyone to enjoy. You certainly can’t ignore the most stunning views overlooking Looe town and Harbour and the beautiful coast out to the horizon. Clipper House holiday let is one large house, comprising 3 separate and unique self-catering properties. (Please note that each property have their own listings on HomeAway and can only be booked separately; so please check which property listing you are enquiring from - The Clipper (house), Crows Nest apartment or Mainsail apartment). -The Clipper (sleeps 22) occupies the ground and first floors. The Clipper has plenty of in-house entertainment, including a bar area and a games room with a full size pool table, piano and a darts board (there are even toys for the children). The Clipper is perfect to cater for large groups. Crows Nest (sleeps 6) apartment and Mainsail (sleeps 5) apartment, both occupy the second floor. Both apartments are well equipped with everything you need to enjoy a home away from home. All 3 properties offer every convenience. With good wifi, each accommodation comes with their own Sky box with a full Sky package. Fully equipped kitchens, fresh linens and towels for every guest. Clipper House has undoubtedly some of the best views in all of Looe. All beds are freshly made. Clipper House comes with 12 allocated parking spaces. Our open garage has allocated parking spaces and recycling facilities. Bath and hand towels for all guests. Commercial dishwasher with cleaning detergents already connected. large gas commercial oven/cooker. Separate gas grill. Hifi set-up with cd player and mp3 player with surround sound speaker system. Pool Table, Dart board, board games, books and a piano. Pool table, dartboard, board games and large chess table. The pool table is in our games room. 2 large picnic benches and forecourt area at the top of our private drive. Looe tennis club is open to the public and is within a short walking distance. Cornwall is the place for golfing enthusiasts, with numerous courses dotted throughout the county. Looe Golf Club is set amid beautiful surroundings. There is Carlyon Bay which is an amazing golf course on the south coast not at all too far from Looe. And even closer, Lanhydrock which is another great golf course. This listing is for The Clipper ONLY. All three of our Clipper House properties, The Clipper (Main House), Crows Nest apartment and Mainsail apartment, each have their own listings. Each property is booked separately. Please contact Sam, for more information about other local amenities or any general enquiries. We look forward to hearing from you. What a fabulous setting for a family get-together. Our ages ranged from 2 to 97 years and we were all there to celebrate our matriarch's 70th birthday. Plenty for the active ones of us to do and wonderful views for the older and younger ones to admire while they played or drank wine! Thank you very much for the great review, Emily. You all looked like you had a great weekend in Looe. I'm so pleased that you enjoyed your stay in Clipper House. It was lovely meeting all of you and you have been such a pleasure to host. Thank you very much for your feedback. I hope to see you back again soon. Words cannot describe how amazing Sam and this place is. We had the most fantastic weekend and Sam was the perfect host. There is nothing We could fault. You need to experience it to believe it. Truly wonderful and we will be returning! Poppy, thank you very much for this superb review! I am just so pleased that you all enjoyed your weekend here at Clipper House! You and all of your family and friends were such fantastic guests, and honestly it was such a pleasure to host you guys. I can't wait to see your return! Thank you for everything, Poppy. Janice, I'm so pleased that you enjoyed your stay here at Clipper House! It has been a pleasure to have you all here during the New Year, so thank you. And thank you for the great feedback. Much appreciated indeed. Best wishes to you and all the family. 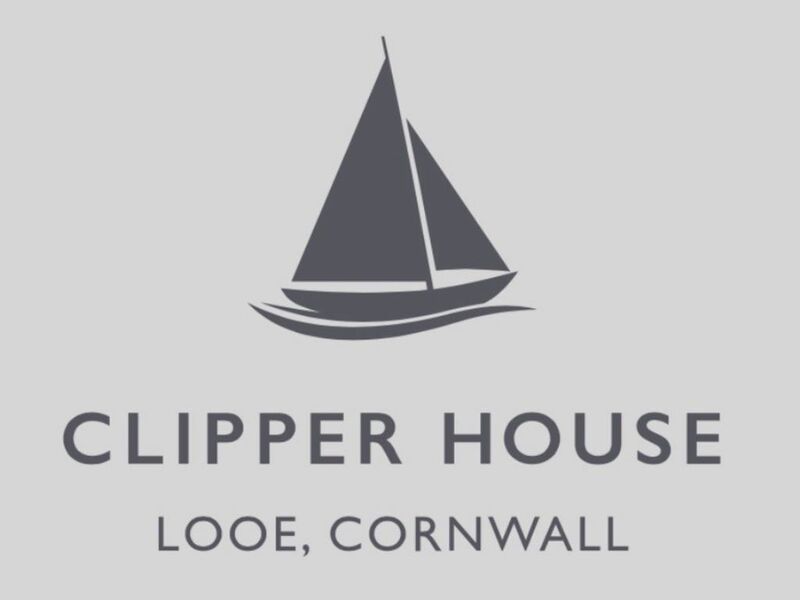 We have just returned from a truly wonderful stay at The Clipper House in Looe. There were 18 of us age range 2 to 63 & the house was a perfect place for us to spend quality time together. The house provides an inclusive sociable space where we could enjoy each others company without feeling on top of each other. Sam was the perfect host providing all the little touches e.g. abundance of fresh flowers, welcome pack of food & always ready with help & information. We would definitely hope to return. I booked Clipper House for a group retreat of 14 people. It was perfect. Enough room for all, with everything we needed (the pool table was well used). Great location in Looe with stunning views. Sam was an excellent host. Thank you very much for the excellent review, Andy. It was really good to meet all of you. I'm so pleased that you enjoyed the house. I'm also really glad that you were able to utilise the the space in the dining room for what you needed to set up. I hope your visit was productive. Perhaps we will see you all back again next year! ( : Best of luck to all of you. Anne, thank you so very much for taking the time to write this spectacular review. It was such a pleasure to have you and your family stay at Clipper House. I love that you created some great memories in Looe and just enjoyed a special holiday with your family. Thank you for sharing your experience, and know that you are always welcome to make this your home away from home. Best wishes to all of you and see you soon. The sandy beach at Looe is a popular family destination. Children love to scramble among the many rock pools, and can also enjoy swimming in calm waters. There are also opportunities to try boating and sporting activities in the nearby bay. The busy fishing port of Looe is one of south Cornwall’s prettiest resorts. Sandy beaches, scenic boat tours and excellent fish restaurants are all within easy reach. And if you want to abandon the car for the day, take the train that runs between Looe and Liskeard. Further afield, this ancient county claims legendary stories of King Arthur and daring pirate raids. There’s an assortment of boat trips, offering chances to fish or simply view the sights. St. George’s Island is just off the beach or you can travel along the coast. Seasonal activities. Looe is an all-year-round resort. Spring and summer are the best times for enjoying the many outdoor activities, including coastal walks, swimming and water sports. The summer highlight is Festival of the Sea, in June, offering a host of competitions, dancing, craft fairs, street entertainments, exhibitions and fireworks. At Christmas, the town glitters with illuminations along the quay. Other festivities include a fair, torch-lit procession, disco and choral service. And on New Year’s Eve, there’s a fancy dress party and spectacular firework display. Please note that you can also make your reservation directly through our Clipper House website by contacting Sam direct. By booking with us direct you will not incur any booking fees. We accept 30% of the property rental cost as your initial payment for any reservations made more than 9 weeks prior to the date of your arrival. For more information please contact Sam, with any questions or enquiries. We look forward to speaking with you.